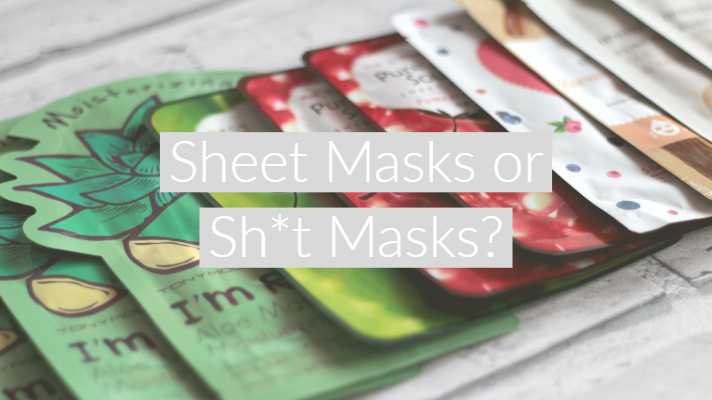 Over the last few months, I have ended up with quite a few sheet masks in my cupboard, so I decided why not write a little review on each one and let you know if I think they are worth buying. First up is the Victoria Secret Let’s Pre-Glam sheet mask. I received this in a recent Glossybox and have never tried any Victoria Secret skincare before. This particular mask contains hyaluronic acid which is known in the beauty world as a fab skin conditioner. This mask should be left on for 15 minutes after cleansing. On first impressions, this mask was super easy to open and unfold without ripping. The liquid that is on the mask itself wasn’t runny or dripping so it was very mess-free too. I also found that this mask sat really well on my face compared to sheet masks I have tried before; it fit perfectly and didn’t slide down my face at all. The mask itself wasn’t overly scented but it smelt pleasant, not too floral or chemically. It didn’t feel greasy or slimy, it wasn’t excessively wet and there wasn’t a lot of the liquid left either on my face or the mask after the 15 minutes. There was a little bit of residue which is normal for sheet masks and I just gently rubbed this into my skin afterwards. I was really impressed with this sheet mask, especially considering it isn’t from a beauty or skincare specific brand. It left my skin feeling really moisturised and nourished, but not oily or shiny. This retails at around £4.50 which I think is a little expensive for a single use product but it’s a great pick me up or accessory on girls night! I would definitely re-purchase this mask as it was easy to use and left my skin feeling fab. 5/5. Next up is the Beauty Pro charcoal cleansing mask. But this is no normal cleansing sheet mask. It foams and bubbles on your skin, aiming to deep clean those pesky pores and blackheads and improve the firmness and clarity of skin. This mask is suitable for all skin types, including acne prone skin. As is quite normal for sheet masks, the instructions state to wash your face with warm water first, then leave the mask on for 10 minutes. Ideal for a quick pamper! Upon opening the packet, there was quite a lot of excess liquid spilling out so I would recommend opening over a sink. The mask itself felt thicker in material than others I have tried, which did make it slightly easier to open as I was less afraid to rip it. One thing I will say is that the mouth section on this mask was HUGE. With a bit of adjustment and folding, I made it work, but it was quite funny! The mask starts foaming and bubbling almost immediately once settled onto the skin. It almost feels like a light fizzing; it’s definitely not unpleasant but it is a bit strange. I also didn’t realise that it would foam up so much on top of the mask, so I looked like some sort of bubble bath monster when I looked in the mirror! There was quite a lot of excess foam and liquid to rub into the skin once the mask was removed. I sort of used it like a facial wash, I rubbed some of it in and then wiped off any leftover. In terms of he results of this mask, I can’t say I noticed any difference in the look of my skin or my pores. My redness was still, well, red – but my skin did feel very moisturised and nourished. I did notice that the next day I had a few breakout spots, especially across my cheeks where my pores are usually the worst. I don’t know whether the mask had drawn out the ‘bad-ness’ from my skin and that’s why maybe? Overall, this mask is okay but I probably wouldn’t re-purchase. 3/5. Finally, a more popular skincare brand. I’ve seen lots of bloggers talking about the Garnier sheet masks but this is my first experience trying one. I chose the moisture bomb as this is meant for combination skin, and lately my skin has been feeling dryer than usual due to the cold weather. I was immediately drawn to the packaging of this sheet mask more so than the others – it’s so pretty! This mask claims to have the equivalent hydration in one mask to one week of your usual skincare routine which is pretty impressive. The mask itself was super easy to open and came apart really easily. Different to the previous masks, this one has two layers to help you apply it easier. I thought this was a little pointless as the pull off layer pulled off most of the mask with it. The shaping of this mask isn’t too great either. The mouth hole is so tiny I had to sit with a pout the whole time it was on, but then the cheeks and sides were huge and caused a mess in my hair. Once applied, the mask sticks to your face well and doesn’t have too much excess liquid. It dries well onto your skin and doesn’t feel as though it’s going to fall off every time you move. This is a 15 minute mask so it does have a little longer to work it’s magic but I think this helps! By the time the mask is ready to be removed, there is very little left over product to run in. My skin felt so smooth after this sheet mask. I definitely noticed that my skin looked less shiny and it reduced the look of my pores. Even the next day, my skin still felt really moisturised which I was surprised at. Have you tried any of these sheet masks before? What did you think of them? Let me know in the comments! I do love sheet masks but I have found that some are definitely better than others so will definitely be keeping your recommendations in mind, thanks so much for sharing! I have tried sheet masks before, but none of the ones you have in this post. I don’t mind them, but some can be really messy! Might have to try some of these ones now though! That’s what I was concerned about but none of these were too bad to be honest! OOOOO!!! I love all kinds of masks so I am gonna have to try these out!! I love sheet masks because they are quick and easy to use. The only ones I tried so far are TonyMoly, St. Ives, and Bath and Body Works. I would love to try the ones you mentioned! I used to love sheet masks and I was using Innisfree’s and Nature Republic’s sheet masks. They had good effects on my skin but it can get messy sometimes, like you mentioned in your post, so I stopped using 😅 Anyway, thank you for sharing the reviews! I think the Garnier one is good! Haha I love the title!! I’ve never really been into sheet masks before and Im not really bothered by them. Despite how funny they can be haha Great review nonetheless! I haven’t tried any of these makes before but thank you for your reviews and sharing! I’ve just recently become obsessed with face masks. I’ll definitely look into these products! I usually pick up the Garnier moisture bomb mask but I love the sound of the Victoria Secrets one so might have to try that one next. It’s a tough choice between the two, they’re both really good! I have never tried a sheet mask, but will try and look for them next time I’m out. My favorite mask is a vanilla scented mask that starts warming up as soon as you apply it, making your skin feel amazing once done. I really liked the honest review of the masks, I usually prefer normal masks, but I might actually try the Garnier mask. Great Post! I haven’t tried the ones you mentioned but I’ve tried a couple from Sephora (they also have hand and foot masks!) and some from TonyMoly and so far, all of them have been great for my skin. I tend to do a lot of hydrating and nourishing masks. The Sephora Avocado one is one of my favorites. Thanks so much for sharing Abi!